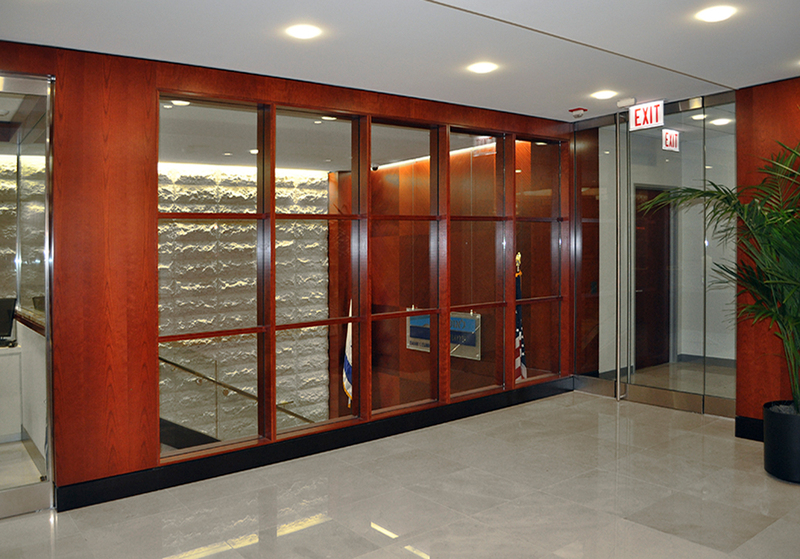 Located on the second floor of the One North LaSalle building, Bank Leumi found themselves in a prominent Chicago landmark, designated to the National Register of Historic Places. 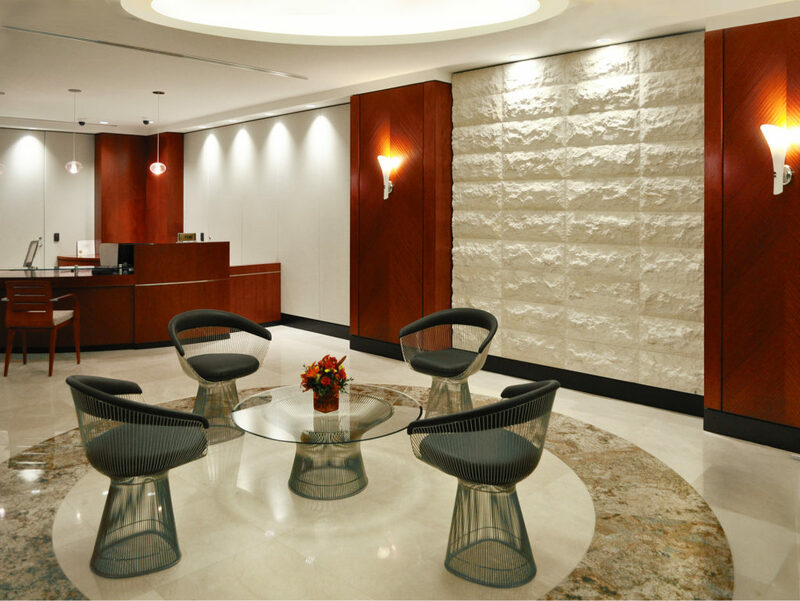 The project was a complete renovation of the 10,000 square foot space, inclusive of renovations to the grand staircase, 2nd floor elevator lobby, common corridors and restrooms. 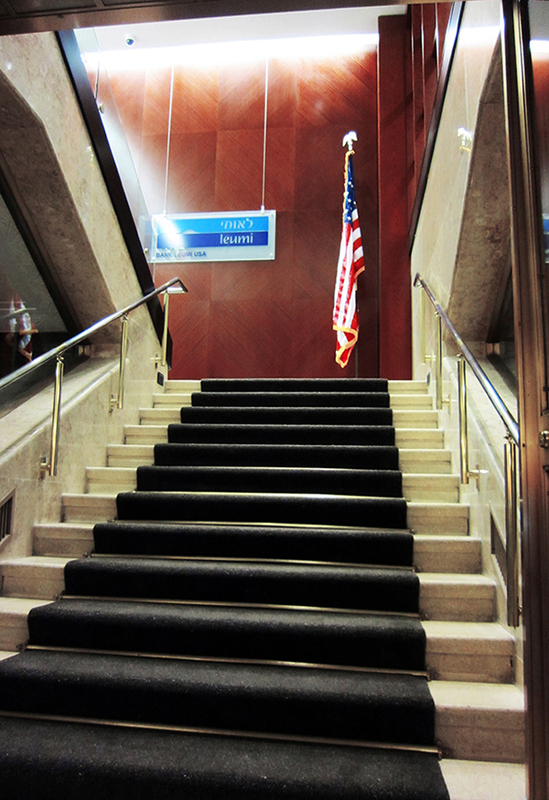 From the ground floor entry of the historic office building, you are greeted by the grand staircase which leads you up 2nd floor secure entry vestibule. The grand staircase received an upgrade which respected the historic nature of the building and ground floor lobby, dating back to the Art Deco Era. As you continue up the grand staircase to the second floor, you are greeted with a mix of warm cherry wood in a herringbone pattern, past an adjacent wall of rough Jerusalem stone. 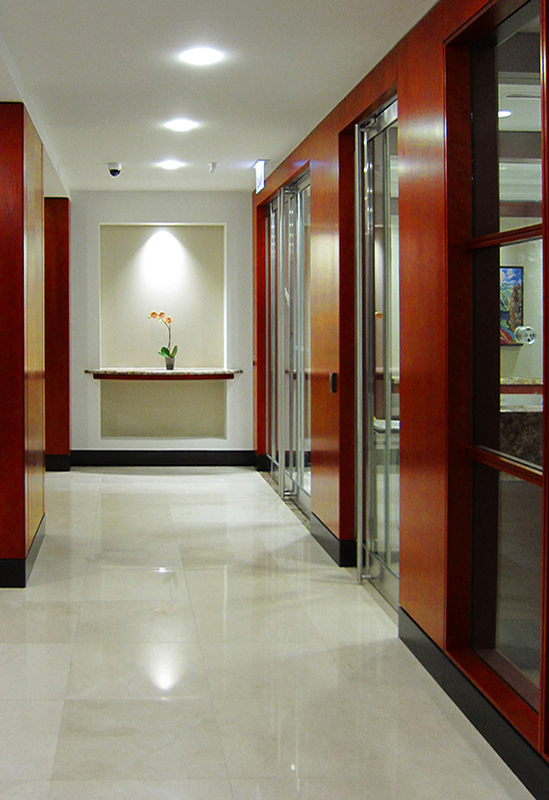 The warm cherry wood and Jerusalem stone are continued through and into the warm and inviting reception space. 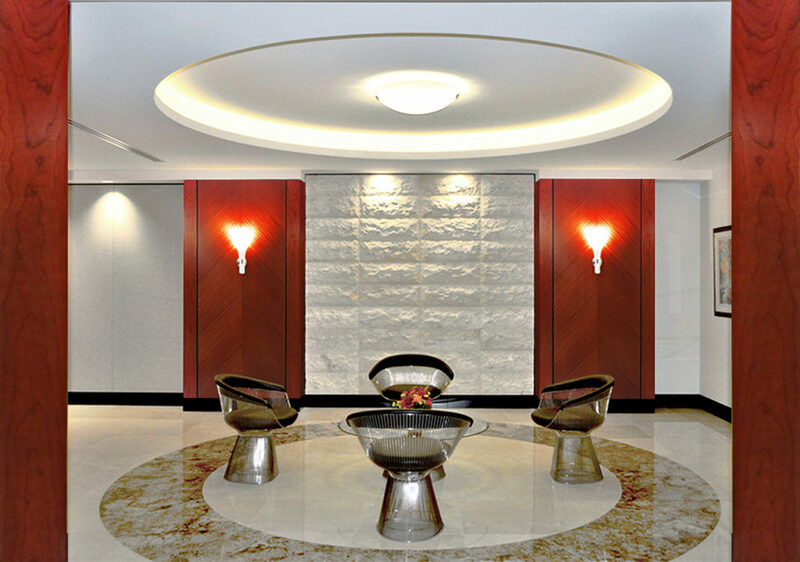 A central radius in the reception draws your eye as it is rooted with four chairs of warm chocolate brown leather and polished chrome metal detailing. 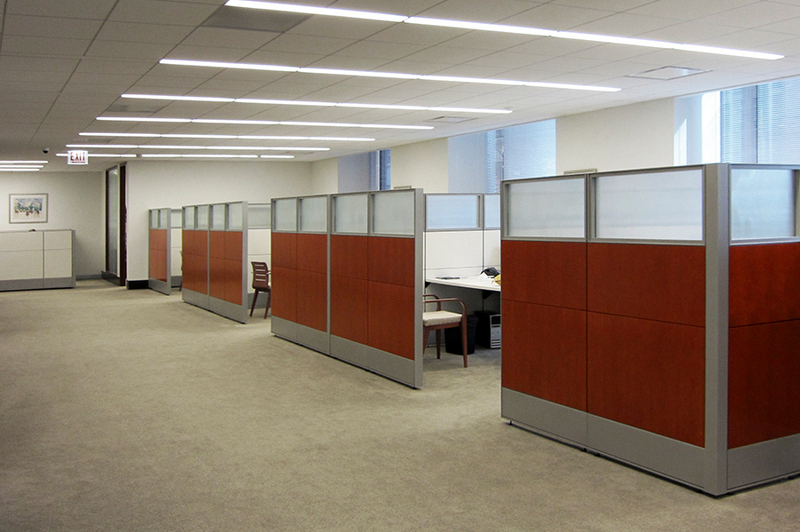 Adjacent to the central lounge space are client tellers and client rooms, each combining the warm materiality with expansive open work areas, while providing views to LaSalle Street. 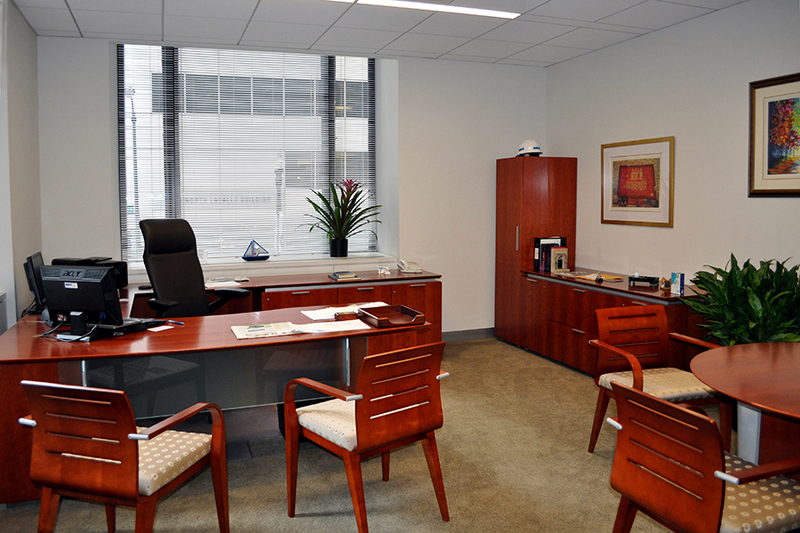 PN+L was able to seamlessly combine their modern aesthetic with Art Deco details that have stood the test of time in this historic building.